If you are fortunate enough to own one of the new generation of mid-price DACs, then the Signature Digital would be a very good cable to fit in your system. The Signature Super ARAY Digital uses the same Super ARAY conductor geometry as SarumT and our flagship ChordMusic digital cables. It replaces the previous Signature Tuned ARAY. Just in case you are wondering – this doesn’t just apply to high resolution. Much of our listening is done with CD or CD-quality rips and that’s what makes it so exciting. On the high-res files, it is very easy to hear the benefits, but these are cables that will let you re-explore your entire CD collection as well as letting you hear the best of streaming and high resolution downloads. Latest improved ARAY design with greater flexibility. Ultra low mass silver-plated RCA connectors with precision machined PTFE plug surround. Two 75 ohm silver-plated oxygen free copper conductors with PTFE insulation. High density combination silver-plated braid and foil high frequency effective shielding. Revised Super ARAY conductor geometry can dramatically improve detail and coherence. Zero compression strain relief system avoids changes in impedance. Available in 1m and custom lengths. 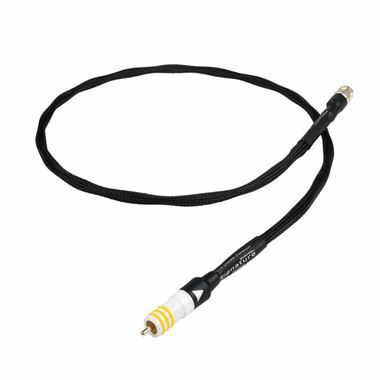 Also available fitted with high performance silver-plated BNC connectors or configured for AES EBU.